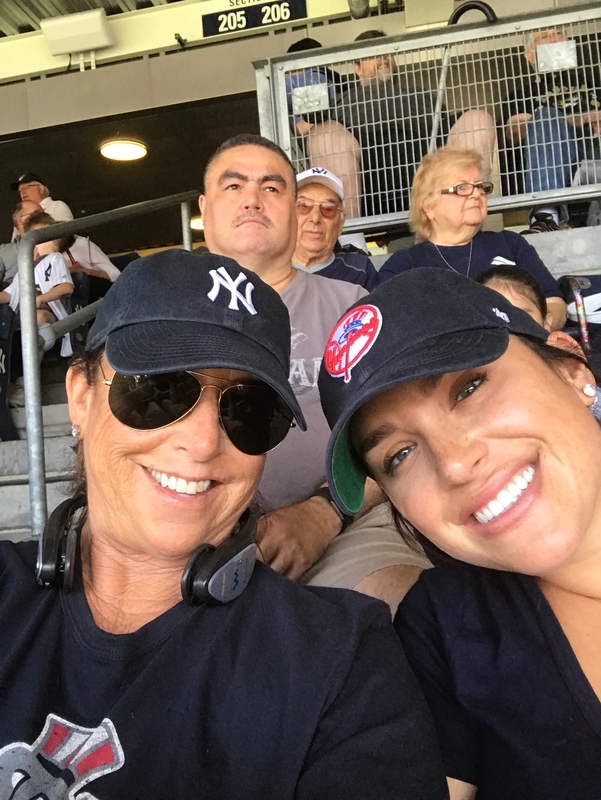 Sports bonding…an important element in my mother/daughter relationship. Forget Barbie and Ken, we were all about Jeter and Manning. Along with classic bedtime stories, my daughter also received a heavy dose of sports info and trivia. She learned her multiplication tables in accordance with NY Giant player numbers. For example, 8 x 7= Lawrence Taylor or in normal people speak…56. 5 x 2= Eli Manning (#10). At a young age, the NY Giants and NY Yankees were introduced as family. Recently, we took ourselves out to the ballgame. 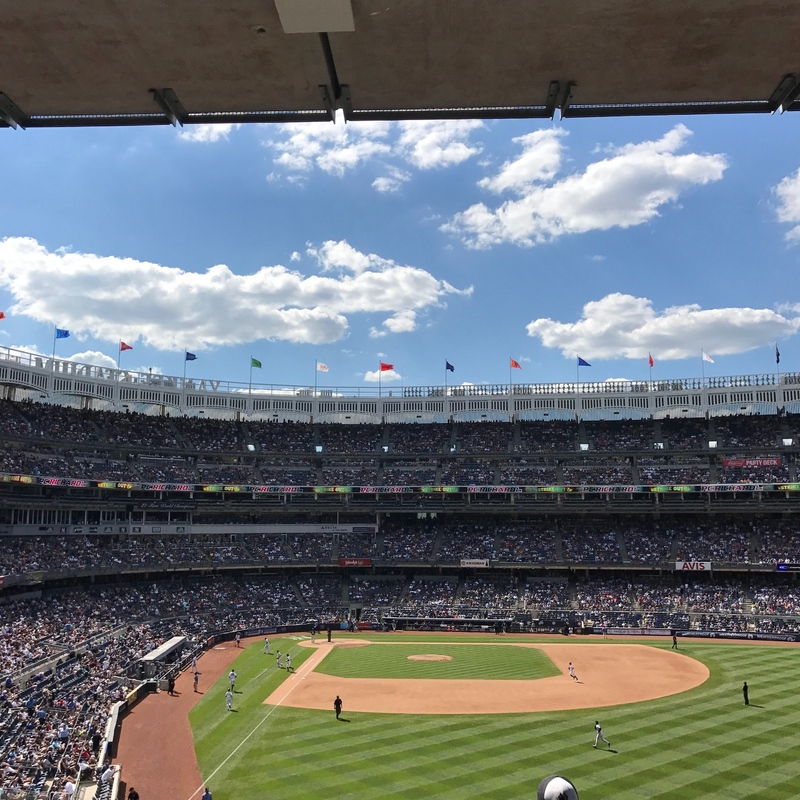 We are easy…buy us some peanuts and Cracker Jacks and we are good to go. We had seats in the shade and a great view judging the baseball world’s all-star rookie’s assets. Right now, MLB is all about NY Yankee #99 Aaron Judge. 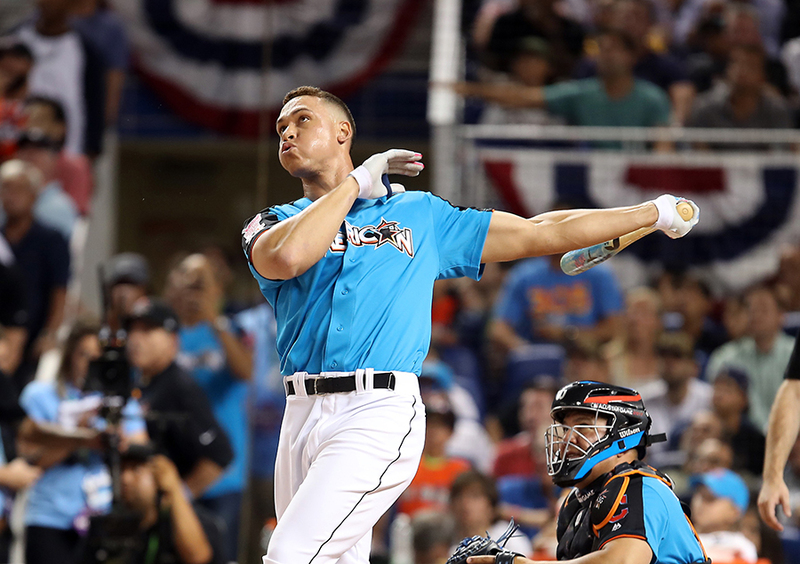 That guy can swing a gavel and this week he easily won the Home Run Derby, hitting 47 homers during the three rounds, one HR shot traveling 513 feet. We took the D train and cruised the great hall in Yankee Stadium. The game was awful…the Yankees lost despite the fact that they had numerous opportunities to win, but we had a fabulous time. There are no attractive men in the stands only on the field. 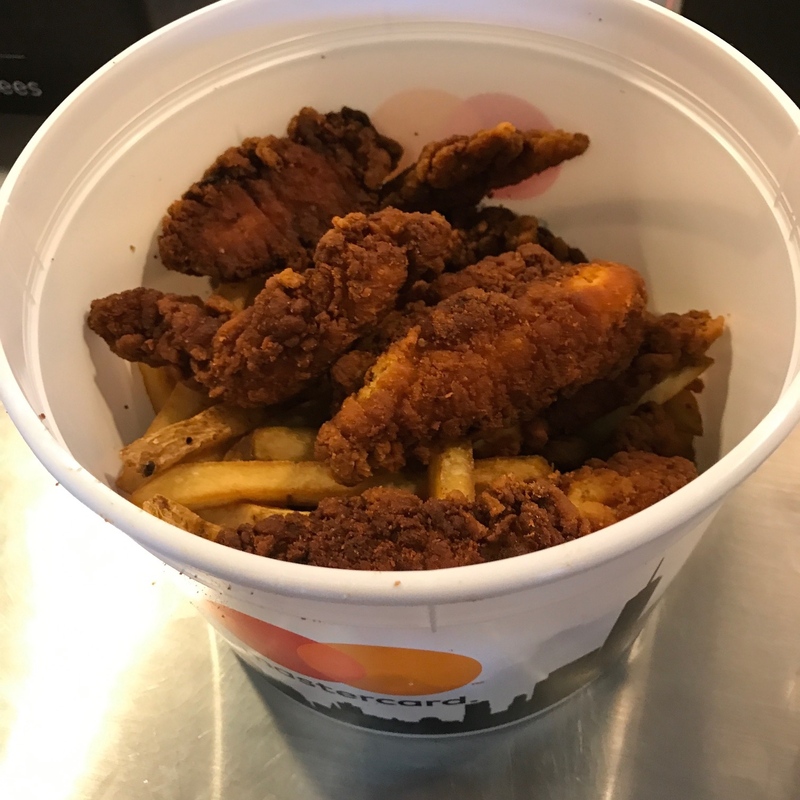 American sports fans are, generally speaking, overweight perhaps from drinking $14 beers and eating $32 buckets of fried chicken and fries. Over 30 is edging toward middle age on the playing field, but a youthful age in the stands. Sports fans dress for the occasion. 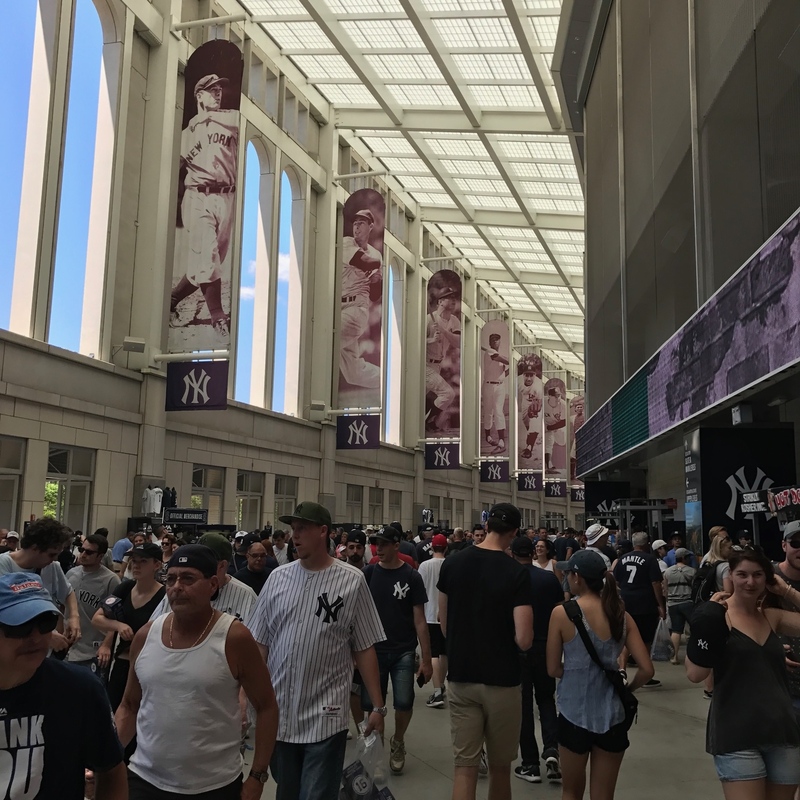 Literally, every single person at the game had either a Yankee cap, shirt, bag, shorts or some form of team paraphernalia…it’s all about the merchandising. Sporting events are a great source of entertainment, but ridiculously expensive. Tonight, officially starts the second half of the baseball season. The Yankees have a huge series against division rivals, the Boston Red Sox.